Lumo Lift clasps printed on a Dremel Idea Builder and Objet Connex. With wearable tech and biometrics becoming more prevalent, there are some pretty interesting devices on the market. Lumo Body Tech‘s Lift device has a purpose that stands out – it tracks posture, as well as steps and calories. After wearing one for a week, I was pretty surprised at my consistent slouching and have become waay more conscious of my posture. BUT – this isn’t a fitness blog, so why is it on Tinkercad? I got an email from the folks at Lumo to collaborate on an idea they had and it made total sense. 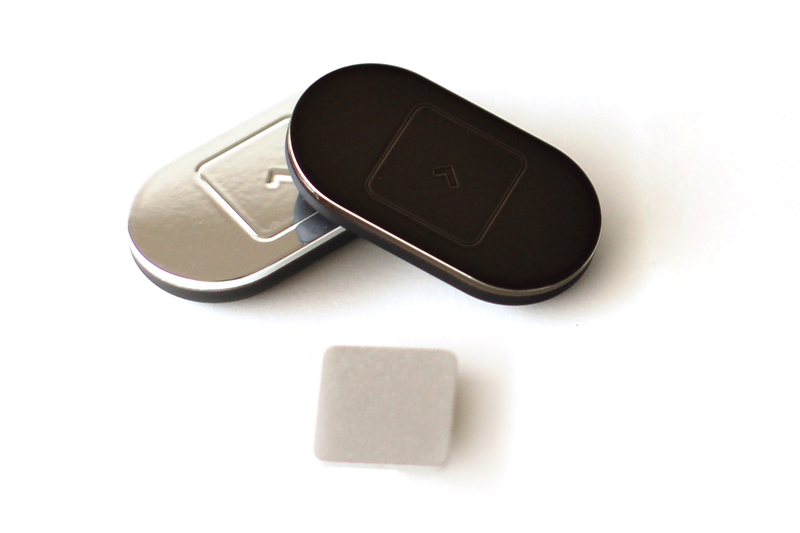 There is a small magnet that holds the device in place on your shirt, and is only betrayed by a minimal grey, black or white square lapel “pin”. So why not design and 3D print a custom shape and glue the magnet to the back to create a personalized clasp? Tinkercad is perfect; you can create any shape and just create a recess for the magnet with the Hole feature. Et voila: Posture with panache. Here are some more designs. Have you made a clasp or any other 3D printed wearables? Tag them in the gallery #lumolift, we may send you some goodies.